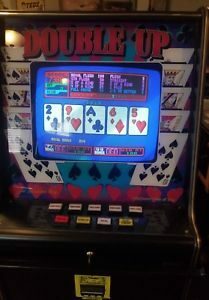 This machine is from the early 90’s so it’s old enough to be completely legal in this state. 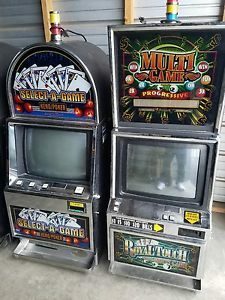 The dealer I bought it from says it came out of the Stardust casino in Las Vegas. I suppose you could check the serial numbers if you wanted to verify it. It’s age also means it does not have a bill acceptor like the newer ones. And do you really want to deal with a bill acceptor. You have to keep updating them for newer bills. 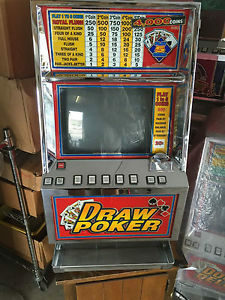 This is a quarter machine. 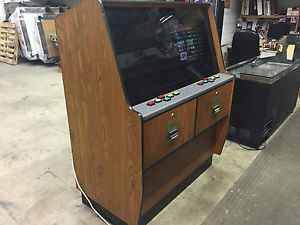 You have the option of running quarters, or quarter tokens. 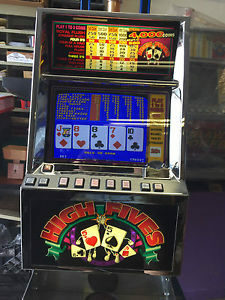 This machine has 5 games. 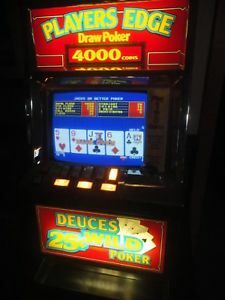 I find deuces wild to be my crack. 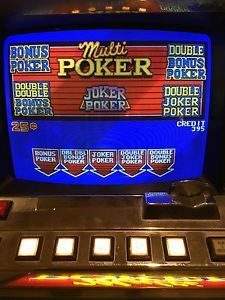 There’s nothing like coming back from Vegas, your jonesing to play some video poker, and all you have to do is go down to your basement and do it. 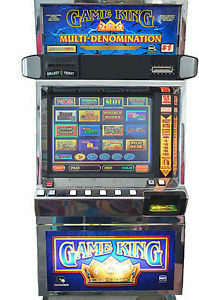 This machine also comes with an casino original locking stand. No, I’m not shipping it, and you will be helping me up the stairs out of the basement with it. Cash and carry.